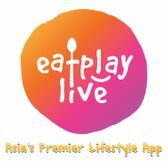 Open up a world of possibilities with EatPlayLive, Asia’s Premier Lifestyle App offering exclusive dining, entertainment and leisure experiences. With an array of premium perks and privileges from more than 100 merchants and partners in Singapore alone, members can enjoy offers and deals ranging from fine dining restaurants to luxury spas and bespoke lifestyle offerings. “We are so pleased to present some of the best deals in Singapore and the region with EatPlayLive”, said Julie Renyard, Managing Director of EatPlayLive. “Unlike any other dining deals programme in the market currently, EatPlayLive offers up a plethora of premium lifestyle experiences for those seeking the best and most out of life. “Our aim is to make the little luxuries in life that much more accessible. I have carefully curated an upmarket collection of perks and privileges that offer a complete lifestyle experience. From the coolest cafes, celebrity chef fine-dining restaurants, to pampering treatments at award-winning spas as well as luxury yachts, helicopters and supercars at your disposal, we invite you to Eat, Play and Live as much as you like, at the places of your choice, with just a tap on your mobile phone,” she added. EAT: Whether it’s an indulgent celebratory meal of Thai street food at Long Chim by celebrity chef David Thompson; a decadent catch-up at the famed Parisian tearoom Angelina; or languid sunset roofttop drinks at Potato Head Folk – enjoy a plethora of delicious dining deals right at your fingertips. PLAY: After-hours play was never this fancy. Throw a luxurious party onboard a yacht, take flight in a helicopter over Kuala Lumpur’s skyline, feel the rush of adrenaline with the roar of the Lamborghini engine or treat yourself to a hands-on culinary adventure at CulinaryOn. Adrenaline junkies may also choose from a variety of high-element courses at Megazip at unbeatable rates. LIVE: With exclusive partnerships with Philip Wan, Aramsa The Garden Spa and Adeva Spa, every weekend can become an indulgent pampering weekend. “Members will be able to enjoy a myraid of offers and packages across the region including Singapore, Malaysia, Hong Kong, Indonesia, Thailand, Philippines and South Korea, offering even more value and unblocking even more lifestyle experiences for the well-traveled,” said Julie Renyard. EatPlayLive is a premier lifestyle app that opens up a world of luxury living. Users may choose from exclusive dining, entertainment and leisure experiences from a growing selection of merchants ranging from dining restaurants, luxury spas, to bespoke lifestyle offerings. The app is the brainchild of Julie Renyard and James Greaves, both of whom are pioneers in launching entertainment packages and loyalty programs. They have worked together on various projects since 1993, spanning the region from Australia, New Zealand, Hong Kong and Southeast Asia. With a keen understanding of regional consumer trends and demand, Julie has built a strong rapport and relationship with the industry. Coupled with James’ in-depth market knowledge having lived and worked in this region for the past 2 decades, the dynamic duo have identified a demand in the market for premium lifestyle packages and dining deals, and joined forces to build Asia’s Premier Lifestyle app, EatPlayLive.